In a multi-polar international system that is becoming more and more globalized, countries today are paying greater attention to cultural diplomacy, as part of a central component that represents their national and international interest and image in the international arena. China is one such country that through the reestablishment of the Old Silk Road, of the Silk Road Economic Belt and the 21st Century Maritime Silk Road, commonly called the Belt and Road Initiative (BRI) has transcended into a new era of cultural diplomacy. By means of the use of soft power in promoting its image and furthering its relations through the establishment of its strategic drive, it seems China is destined to connect the globe through this momentous initiative, more so than ever as a resourceful means in achieving its national and international interest. Significantly, the growing popularity and expanding international recognition of Chinese culture and traditions over the years has demonstrated the increasing development and the importance of China’s soft power. Fundamentally, through the Belt and Road Initiative (BRI), China has now been able to transform and demonstrate the vibrant contribution and impact of this policy, through such aspects of a multi-culturalism, multi-ethnicity, social, political and economic sphere. Additionally, China is able more so than ever with its peaceful image in sync with the new era of spreading cultural diplomacy through education, tourism, media, languages, performing arts, Confucius ideology, etc., by means of being perceptive, and developing the aptitude to utilize culture as the basis of soft power in its strategic drive. China’s rise in the world today not only symbolizes a significant shift base on its growing trade activities in Asia and beyond, but importantly, through its use of cultural diplomacy as a soft power, which has changed its reputation and image in the 21st century not only to be perceived as a global leader of trade to be contended with but also as a soft power strategist, projecting a non-confrontational image and friendly diplomacy. Admittedly, soft power in China is leadership driven and more or less is seen to be strongly associated with the Chinese culture. 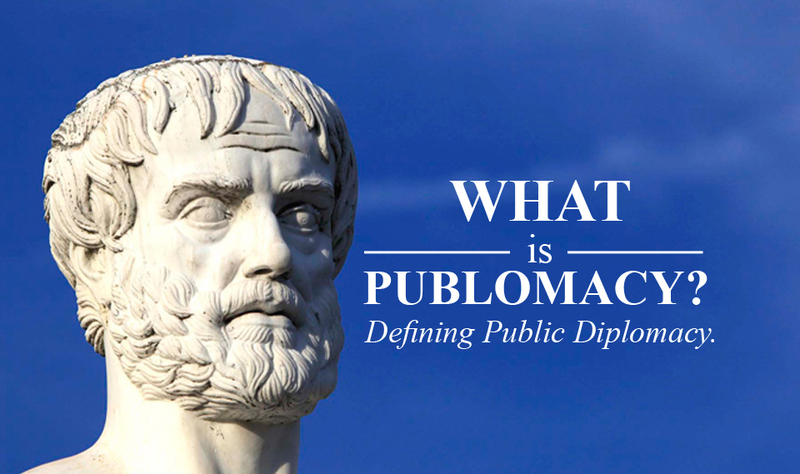 Fundamentally, when examined, it is noted that Chinese soft power relies mainly on sources of the aspects of public diplomacy, which is a form of cultural diplomacy, since in China, many of the aspects that public diplomacy covers such as television (TV), radio, cultural and educational exchanges, scholarly, newspaper publication, etc. are in actuality classified as culture (Lai & Lu, 2012)  . Conversely, over the years China has garnered a central role in the utilization of cultural diplomacy as a soft power tool as an alternative approach in effectively stimulating, building and developing a more secure and stable image in the international system as a rising regional and global power. Notable, in today’s world, there is clear indication that soft power has become a popular discourse in China’s foreign policy and no doubt drives China’s objective in Asia. Critically, China’s soft power practice such as culture, purposely promotes an avenue to maintain friendly relations with other nations in the Asian region as an opportunity to avoid political and regional disputes, which in of itself promotes common prosperity, cultural exchanges and creates a medium for peace and regional connectivity. Proposed by Chinese President Xi Jinping, the Belt and Road Initiative is predominantly projected to be the longest economic corridor in the world, which will continue to promote the spirit of the ancient route (Ancient Silk Road) covering 4.4 billion people, accounting for 63% of the world population (Hong, 2014)  . Therefore, in looking at the focus of the Belt and Road Initiative in Asia, undoubtedly it is fueled through guaranteeing a viable economic hub, and acceptable also is that soft power plays an important role in setting the relationship in Asia, eventually opening doors for economic development, regional cooperation and connectivity, which will reshape and integrate the regional geo-political and economic landscape of the Asian region. In effect, it is possible to say that China has been successful in using specific soft power techniques to build its image, as a trustworthy regional power with the ability to offer developmental growth in the Asian region now and optimistically will continue to do so in the future. From this conception, almost all countries in the world generally pursue peace in the international arena and the BRI is seen as an important initiative in the enhancement of peace to acquire developmental opportunities for all the countries party to this policy. Thus, in general, it is perceived that peace promotes and bridge a platform for communication, enhances cooperation, which in essence results in a happy and friendly society and over a period in turn promotes economic prosperity that a country and its citizen can enjoy. Scholar (Hu, 2015)  for instance, states that the BRI possesses rich Chinese cultural connotations and activates the essence of a harmonious Chinese culture in the new historical circumstance. Additionally, it is further elaborated that the bright future of the “One Belt and One Road” Initiative strategy is closely related to its historical origin and cultural charm (Hu, 2017)  . 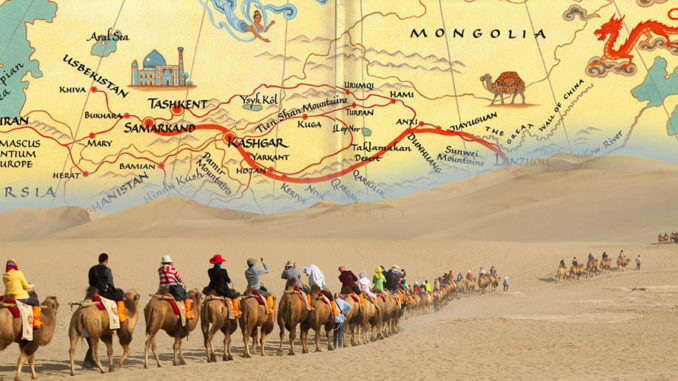 Historically, China’s Old Silk Road was an established viable peaceful trade hub route in which goods were sold and bought along the customary path from China and beyond. This past practice resulted in shared harmonious heritage in the exchange of commodities. Moreover, it also resulted in the exchange of various aspects of culture, such as languages, ideologies, and a rich history of religious and harmonious cultural exchanges. Which fundamentally today, with the revival of the Old Silk route by Chinese President Xi Jinping in 2013, marks a significant milestone which rhetorically gives importance to the shared historical cultural heritage of the past and the new emerging China, through the newly “One Belt and One Road” Initiative. In effect, China is building directly on this legacy through mutual cooperation, respect and trust in Asia with the BRI, with the means of implementing projects to transform the infrastructural growth, increase global competitiveness and refocusing the countries party to this policy, as well as through the development of China’s soft power. The other is that, China’s the BRI has induced varied emotions of enthrallment, attraction, wonderment and trepidation on China’s grand strategic vision of the BRI and its capability to “Charm” through its use of its soft power tools. The discourse over the years, understandably has varied and has now focused largely not only on the economics of the BRI, but now also on its soft power strategy such as culture that has now become an avenue, a gateway for China with the capability to influence. More so than ever, China undeterred with the BRI does indeed have the strength and potential to influence and transform Asia with its soft power strategy peacefully, which eventually will boost its image regionally and globally. In recent years, an increase number of scholars have pointed to China’s past history of overcoming a century of humiliation at the hands of oppressive powers, thus of significance, this is one factor that plays a considerable major role in the way China conduct international affairs in today’s society. Thus, it’s clear and obvious in the way China expresses and communicates its ideas regionally and globally. Subsequently therefore, China’s use of cultural diplomacy as a soft power strategy has become a powerful and meaningful innovative tool as a platform in promoting its image, influence, diplomatic ties, economic prosperity, etc. Paying tremendous importance to the use of soft power strategy by China, in 2014 President Xi Jinping stated that, we should increase China’s soft power, give a good narrative and better communicate China’s message to the world (Albert, 2017)  . Likewise, former Chinese President Hu Jintao echoed similar sentiments by stating, “the great rejuvenation of the Chinese nation will definitely be accomplished by the thriving of Chinese culture” (Albert, 2017)  . In fact, this more or less showcased the importance China places on culture and its use in promoting its image in the world through the use of soft power techniques. Principally, Winter (2016)  argues that based on the following historical narrative premise of connectivity, it is stated that both culture and economic reduces suspicion and promotes common prosperity. For this reason, it should be clearly understood that culture does indeed shapes the economic corridors of China, and evidently it is obvious through the newly revived Belt and Road Initiative, which in essence allows for economic growth, that will provide and lead towards the enhancement of regional connectivity and in particular that of cultural connectivity through shared heritage in order to gain mutual trust, further loyalty and influence China’s image among countries in Asia. Given the importance soft power plays, what essentially is soft power? In accordance with scholar Nye Jr. (2009)  the notion of “soft power is an ability to co-opt people to achieve political ends through attraction rather than coercion or payment”. Thus, it is further stated that soft power relies on the ability to shape the agenda in world politics based on ones principles and ideas (Nye Jr., 2009)  . Additionally, it is further elaborated that the concept of soft power is to exert power in such a way that others will do your bidding without being coerced. On the other hand, making a clear distinction between hard power and soft power, it is posited that, “hard power” is the ability to get others to act in ways that are opposed to their initial preferences and strategies (Nye Jr., 2009)  . Essentially then, this is the ability to force, through the use of threats and inducements. Nye Jr. (2009)  also postulated that soft power is indeed as important as hard power and even more so in international politics. In today’s contemporary society, when the concept of hard power is examined, in practicality it is very costly for countries that use hard power through the use of military means as coercive diplomacy, military interventions, threats or the use of force, economic sanctions, etc., as part of its nationwide and foreign policy; while in relation to soft power, it is “free”, unconditionally in the sense that it does not require large resources and has limited consequences in case of failure. Essentially, Nye theorizes that soft power is a matter of “seduction” and behaviors such as arrogance, which might be counterproductive involving repulsion rather than attraction (Nye Jr., 2009)  . Additionally, soft power can be conceived as being “passive” or in the eye of the beholder; and it is also identified as emerging from how outsiders perceive a country’s values and systems from rather than being promoted from the inside (Breslin, 2011)  . According to scholar (Arndt, 2005)  , the use of cultural diplomacy can be traced back as early as the Bronze Age, and it is argued, “cultural diplomacy has been a norm for human’s intent upon civilization”. In effect, simply put, it has always been customary for human beings to use cultural diplomacy to influence and shape society. It means that culture is a tool that shapes, influences and holistically gives meaning to our lives. Therefore, culture at its best plays a significant role in every country’s society in having the power and reputation to influence, enable and allow for better and clear understanding of its norms and values. Melissen (2005)  defines cultural diplomacy as the exchange of ideas, information, art, and other aspects of culture among nations and their people to foster mutual understanding. Furthermore, in relation to the connotation of Culture to China, Zhang (2015)  explains the meaning of culture to China, by stating, “in modern China there is a lack of culture. Elaborating, he posits that culture needs to be inherited and passed on (Zhang, 2015)  . However, in respect to China he expounded that it has constantly learned from other countries for more than a century, but it has sometimes forgotten and ignored the most excellent cultural essence hidden in Chinese culture. Furthermore, he states China knows westerners even than they know us, thus, we need to get our best culture out to reach them and we should talk about the BRI in terms of contribution and dedication” (Zhang, 2015)  . With this sentiment, evidently China has made developmental strides in cultural diplomacy through the use of its soft power strategies such as through its traditional and cultural appeal, investing in the opening of numerous Confucius centers, language training centers, museums, expos, etc., in Asia in promoting its image by spreading its culture to gain appreciation and support, as well as through the mission of Sinology research to share with the world about China. The result is that, the long term goal, in due course will advance awareness, mutual respect and understanding that will contribute to the establishment of a cultural structure that will make Asia more harmonious through the BRI by linking the Asian countries party to this policy. Over the years, as part of China’s foreign policy, and the BRI’s core “cooperation priorities,” and that of its five principle of peaceful coexistence; (Full text Action Plan on the Belt and Road Initiative, 2015)  , China is now able to project its image to Asia through the adaptation of its soft power strategy in building people to people connectivity through its traditional and cultural appeal, economic ties, partnership diplomacy and multilateralism, etc. Without a doubt, and with clear clarity China’s the BRI is intended to change the political and economic landscapes of Asia, Europe (Eurasia) and Africa in the coming years through telecommunications, Information Technology, Infrastructure partnerships, law, transportation sectors, etc. In effect, China’s decision to be involved in the international system means that the use of cultural diplomacy is expected and is a fundamental factor in connecting cultures and promoting cultural diversity, therefore the necessity to build any form of relationship requires interaction with other country’s in order to understand different cultures and what they mean. Therefore, to better understand the geographical make up of the Asian region and the countries in Asia party to China’s the BRI a pictorial illustration of the geographical makeup of the Asian region is provided. Table 1 shows the geographical composition of Asia, which is divided into East Asia, South East Asia, South Asia and Central Asia, comprising approximately fifty independent countries and regions. Table 2depicts the major Asian countries along the BRI route. Each Asian country depicted in table 2 have its different spoken languages, system of government, social factors, economical factors, cultural belief, etc. Over the years, the perception of the People’ Republic of China and its image in each Asian country before and after the BRI more or less varied. Nonetheless, across the board China’s influence and presence are accepted and perceived in a strong and positive way. Hence, according to a Pew Survey conducted in 2014, it states that Asian attitudes towards China differ considerably across the region (Global opposition to U.S. Surveillance and Drones, but limited harm to America’s image. Chapter 2: China’s Image-Pew Global attitudes project, 2014)  Thus, in the predominately Muslim Asian nations, two-thirds (2/3) or more voice a positive opinion in Pakistan, Bangladesh, Malaysia, Indonesia, Thailand towards China and in 2013, it is also stated that in South Korea attitude towards China also increased. Admittedly, it is clearly understood, that not all countries in the Asian region have a favorable and positive attitude towards China, although its influence and presence is increasingly growing in this region. China’s traditional sphere of influence in Asia with the BRI does not come without negative challenges, especially with some of its Asian neighbors based on historical animosity and territorial issues, which in fact complicates their relationship. Nevertheless, China has still been able to extend this initiative full-fledged to its Asian neighbors, becoming a significant and acceptable policy for most in the region in its drive to attain economic and developmental growth. Thus, in reality whether this policy is foreseen positively or negatively in Asia, China is still set on achieving its plans for the BRI regionally and globally; intended on bringing people from different cultural background together, provide Educational and cultural exchange, shared knowledge, established good relationship policies with its neighbor, active participation in a wide range of regional organizations and global institutions, and aligning the developmental plans of its Asian neighbors in the region, by positioning China in such a way by enhancing its soft power strategy and in turn promoting its image. Table 1. Depicts the geographical Asian Region: Lists of Independent Asian Countries and Regions. Hong Kong is a Special Administrative Region and Taiwan, a Province of the People’s Republic of China. Subsequently, at the “Peripheral Diplomacy Work Conference in 2013, President Xi Jingping, (Xi, 2013)  stated that China’s neighbors had extremely significant strategic value and further stated that he wanted to improve relations between China and its neighbors, strengthening economic ties and deepening security cooperation (Cai, 2017)  . As a consequence, President Xi highlighted the need to strengthen publicity, enhance cultural educational and scientific exchanges, which will allow China to establish a long-term friendly relationship with its neighbors (Xi, 2013)  . As a result, based on President Xi’s speech, it is obvious that China sees cultural diplomacy as a tool that will allow it to change the perception of its neighbors. For that reason, through China’s approach of showing strong amity, sincerity, mutual benefits and inclusiveness with the BRI, most of its Asian neighbors have shown the willingness to link their own development strategies with China’s Initiative, welcoming China also as its main economic partner, a provider of the grants of loans, investments, infrastructural development, etc. Over the years, China’s economy and its soft power strategy, particularly to that of Asia have grown “in leaps and bounds”. Notable, to this end, the changing image of China regionally, not only as a major lender and investor, but as well its willingness to also listen to other nations, thus leading to improving, establishing and boosting its extensive economic ties and cultural diplomacy through the use of its soft power tools in improving and developing its communication, furthermore creating cross cultural exchanges, and further increasing and promoting its image in Asia. Moreover, over the period China has worked hard to establish an image as a dependable regional leader with the required economic efficiency; through the use of its soft power policy in implementing the BRI in Asia, which with clear clarity the expectation or probability exist that this will no doubt lead to the exchange of the integration of different civilizations in the region. Accordingly, given that each Asian country along the BRI routes has its own cultural identities as stated before. China therefore, in promoting its image in Asia through the BRI, to ensure proper integration of cultural diplomacy through the use of its soft power strategy in promoting deep interaction, establishing a bridge for communication, building deep rooted accord between the different cultures in Asia; will essentially have to ensure that this initiative develops and grow to achieve effective outcomes beneficial to the countries party to the initiative in the Asian region. In executing the promotion of China’s image in Asia through the BRI and the use of soft power strategy, China has had to deal with many questions as being seen as an economic contender and more so also of its growing use of soft power as a part of its foreign policy strategy. For example: as far back as 2008, China in promoting its image showcased the cultural aspect of China to the world through the Beijing Olympics and equally in 2010 through the Shanghai Expo, etc. This has continued through the encouragement of the use of cultural diplomacy through its soft power tools throughout a series of cultural events such as the “Silk Road International Arts Festival”, the Marine Silk Road International Arts Festival and the Silk Road (Dunhuang) International Cultural Expo in different countries to promote cultural communication among the BRI countries, Wu (2017)  thus creating the opportunity for more people to become more culturally aware of China ‘s tradition and cultural heritage. This, in essence has paved the way for China to increase its influence and promote its image in Asia by providing for more contact with the Chinese Culture, which has and will create a “smaller regional village” for people in Asia to become more accepting and as a consequence, taking greater responsibility through the role of a “new form of globalization”, assuming new cultural practices and by adapting to new ways of doing things. Hence, in 2013, when Chinese President Xi Jinping, proposed the notion of the 21st Century Maritime Silk Road he mentioned the word “civilization” in his speech, he spoke about the integration of various civilizations (Peng, 2014)  . This, in retrospect meant the development of the “One Belt and One Road” Initiative becoming a vehicle for the process of integrating people of different societies, Peng (2014)  in the global development process through common and mutual trust, respect and cultural heritage. Over the years, China’s foreign policy has become more visible and assertive, similarly its economic power which is still growing; but growing steadily through the use of its soft power approach in influencing and promoting its image. For example: most recently there has been video clips showcasing and promoting China’s the BRI, such as an American parent telling its child a bedtime story about the BRI project and a music clip of children apparently depicting the different countries along the BRI route, dancing and singing and another video clip depicting the journey of a whisky bottle riding the first rail freight (Slick Chinese Propaganda drive promotes “One Belt and One Road Initiative abroad, 2107)  . These video’s has all gone viral via the media and has further reconstructed China’s image not only regionally but also globally, serving further as a platform in providing awareness of the significance of the BRI in spreading China’s cultural, historical origin and cultural charm through the media in promoting China’s image and raising its profile on the international stage and likewise that of being a tool to bring forth more cultural awareness and enhancing cross cultural exchanges. Conversely, the growing expansion of China’s infrastructural investment activities in Asia through the BRI has seen developments through plans which are underway for the construction of the building of railways in Southeast Asia, which entails, the building of a tunnel through the mountains of Laos and the expansion of the railways in Central Asia, which is expected will help countries with their economic development and in turn will help boost China’s soft power strategy and promotes China’s image, moreover making it more attractive (Experts says B&R Initiative can boost China’s soft power, 2017)  . Thus, additionally through China’s strategic objective, its appeal and the promoting and extending of diplomatic friendship, its principle of noninterference in the affairs of other countries, that is respecting other countries main interest and concerns and that of no encroachment on state’s sovereignty, are also added dimensions to China’s cultural diplomacy as a strategy of its soft power tools. Respectively, Clayton Dube affirms that China’s principles of peaceful co-existence will assist China to improve its relations with neighboring countries and accumulate its soft power in the Asian region in the long run, (Experts says B&R Initiative can boost China’s soft power, 2017)  . Similarly, China he states has been committed to developing its soft power, by opening hundreds of Confucius Institutes worldwide and launching extensive international branding campaigns (Experts says B&R Initiative can boost China’s soft power, 2017)  . By and large, when we reflect on the past the strong influential focus of China in promoting its image of peaceful inclusiveness is not a new occurrence. Years ago, China’s influence has been filtered through the import of Chinese cultural values in the Asian region by means through the internalization of providing extensive training for Asian language teachers, sending more Chinese native speakers to work in schools in the Asian region, the creation of Chinese media organizations such as radio and television, etc. Currently, the BRI has now allowed for added integration of the internalization of the Chinese culture not only through its vision of boosting economic integration, but also increasing connectivity, people to people exchange programs, infrastructure, etc., through the tool of cultural diplomacy as a soft power strategy, largely leading to the development of cultural awareness and interest in Asia. Since, the revival of “the One Belt and One Road” Initiative, it has been described by many as the most significant and most far reaching initiative that China has ever put forward. Hence, in 2015 at the Boao Forum for Asian Annual Conference, Xi Jinping in his speech stated that the One Belt and One Road Initiative will promote inter-civilization exchanges to build bridges of friendship for our people, drive human development and safeguard peace of the world (Xi, 2015)  . Principally, when one takes a keen look at China and the “One Belt and One Road” Initiative in promoting its image in Asia, it is noted that China is investing immensely in numerous resources in Asia in connecting its past history by creating and establishing expos, festivals, universities, language training centers, museums, Confucius Institutes, television shows that represent the Chinese culture and innumerable other display of cultural diplomacy that promotes its image, and the development of cultural awareness by way of its soft power tools. Chinese vice Minister of Education, Tian Xuejun, states that Mandarin has become one of the most important languages of communication between China and the countries involved in the One Belt and One Road (OBOR) Initiative (Wong, 2017)  . Tian posits that the numbers of people in the “Belt and Road” nations learning the Mandarin language have increased, and this has played a key role in boosting relations (Wong, 2017)  . As of March 2017, data have shown that 137 Confucius Institutes and 131 Confucius Chinese-language study classes had been established in 53 (Nye Jr., 2009)  “Belt and Road” countries, with more than 460,000 people in these countries studying Chinese (Wong, 2017)  . Besides, China has also established University in Malaysia bearing testament as a reflection of its determination in boosting its presence not only through infrastructure and business but also through education as a soft power (Liu & Sukumaran, 2017)  . Equally, four additional university campuses have also been established in other countries by China along the Old Maritime Silk Road in Laos, Malaysia and Thailand and 98 joint educational programs abroad, and similarly a campus in Japan (Liu & Sukumaran, 2017)  . Scholar Zhang Baohui, states that exporting education is a way to promote China’s soft power; subsequently, then, the “One Belt and One Road” Initiative is not just an economic initiative, but reflects China’s quest for a broader influence of its image and prestige in the world, (Coco & Sukumaran, 2017)  . Nye. Jr. (2009)  , postulates that the major elements of a country’s soft power include its culture, (that is when it is pleasing to others); its values (when there are attractive and consistently practiced) are (attractive and consistently practiced), and its policies (when they are seen as inclusive and legitimate). This in essence is what China has and is in no doubt intended to accomplish with the BRI. China, has now placed significant values on its soft power strategy and has made its culture, its values and its policy attractive, inclusive and legitimate and this in turn has promoted China’s image regionally in Asia as a peaceful and trustworthy partner, attractive giver, etc., to the region, creating and bringing forth more cultural awareness of its cultural traditions and heritage. Acceptable is that China with its soft power strategy, is able to conduct its affairs in a peaceful manner without more or less overseas interference, thus attracting more support regionally. Indeed, China is already promoting and supporting language training in many countries in Asia and over the years the numbers of language training center, Confucius institutes has risen steadily, resulting additionally in the increase of more Asian studying mandarin in the region. For example: In Malaysia, private language school enrollment in Chinese classes has increased immensely. In the Pakistan-China Institute in Islamabad, in collaboration with the University of Karachi’s Latif Ebrahim Jamal National Science Information Centre (LEF), launched a basic Chinese language course in all public Universities across Pakistan, to be delivered via video conferencing to develop their Chinese Language skills (Confucius Institutes Expanding Rapidly to Meet Demand for Chinese Language Skills, 2014)  . This nonetheless shows the increase influence of China’s soft power, its image culturally through the BRI and its soft power strategy in increasing its influences and therefore the increased cultural awareness of China’s culture. Scholar David Shambaugh posits that culture has become an important support within China’s strategy to secure its influence internationally, as was laid out at the 2011 plenary session of the 17th central committee of the CCP (Winter, 2016)  . Thus, according to scholar Winter, he suggests that it is within these wider contexts that we need to position the “One Belt and One Road” Initiative strategy of fostering people to people connections (Winter, 2016)  . Obviously, in this respect cultural diplomacy as a soft power strategy has become a crucial and powerful innovative tool for China, which has to a large extent increased its effort in expanding cultural exchanges, promoting Chinese media, and increasing its influence and awareness of the Chinese culture and tradition and the competitiveness of its cultural products through its various soft power strategies such as language, music, media, etc. The conceptual meaning of the BRI with its strong implication, despite numerous questions and doubts surrounding arguments of its success to succeed and needing to have a clear plan, evidently has been welcomed. Nevertheless, the initiative and the use of soft power strategy has set the tone for cross regional connectivity, fostering bilateral and multilateral cooperation, and in turn will create a platform in opening more doors for better understanding and awareness of the Chinese tradition and culture, thereby, equally creating a channel for the ease of better communication, between China and its Asian neighbors. Evidently, the BRI is undoubtedly intended to change the landscape of Asia over the coming years through its economic ties, traditional and cultural appeal, diplomatic relationship, infrastructural partnership, multilateralism, etc. Through the use of cultural diplomacy as a soft power strategy, which stems from the perception of China’s foreign policies, its five principles of peaceful co-existence and its alignments to the United Nations Charter, further propels the development of cultural awareness leading to cultural interest, which essentially will lead to a harmonious society in Asia. Therefore of importance, understanding awareness culturally involves interaction, the awareness of cultural values, beliefs and perceptions, etc. For that reason, the interaction of China in Asia largely provides for the exchange of Chinese culture and likewise that of learning the way of life of the various cultures of the diverse countries party to the BRI in the Asian region. In Asia, China realized that establishing good relation is required with the BRI not only for security stability, regional, economic reasons, etc. Therefore, China in promoting its image and the development of cultural awareness in Asia, has been engaging and participating actively in a number of regional organizations and cooperation such as ASEAN, the Shanghai Cooperation Organization, East Asian Summit, Asian Development Bank (ADB), Asian Infrastructure Investment Bank (AIIB), etc. In this way, China’s soft power will increase in the Asian region with the BRI and likewise increase cultural awareness of China’s traditional and cultural values and further developing mutual understanding of its developmental strategy, resulting therefore in promoting a harmonious society in Asia. The BRI according to Chinese President Xi Jinping (Xi, 2017)  , at the opening ceremony of the Belt and Road Forum for International Cooperation in May stated that, reflecting on our forefather’s aspiration for a better life, the ancient Silk Road connected nations in Asia and Europe, catalyzed cultural exchanges and mutual learning between the East and the West, and made an important contribution to progress in human civilization. We have every reason to draw wisdom and strength from the ancient Silk Road, advance cooperation in the Silk Road spirit of peace and cooperation, openness and inclusiveness, mutual learning and mutual benefit and work together to build an even brighter future. In recognizing the significance of cultural diplomacy through the BRI, it is necessary to understand that it requires collective effort between governments, non-governmental organizations, regional organizations and soft power tools in order to promote the use of cultural diplomacy in Asia. China, in effect has realized that this is necessary for the BRI to be effective. Thus, ultimately the power to connect culturally, deepening cultural exchanges, sustain economic growth, security cooperation and bonding people regionally, can result in collectivity making the Asian countries and regions more culturally aware of the Chinese Culture and the development of cultural interest in developing a harmonious society. Profoundly, it is noted that other countries are increasingly investing in their soft power and catching up quite quickly in many areas, especially with other countries such as China, that has been investing immensely in soft power over the years, for example: China’s investments in soft power have already surpassed many other countries in the world. And it is estimated that by 2020, China is on a path to open over 1000 Confucius Institutes not only in Asia but also in other countries around the world. The development of cultural awareness as a result of the BRI in Asia through the use of Cultural diplomacy as a soft power is necessary and it involves the interaction, the awareness of cultural values, beliefs and perceptions, etc. Thus, the interaction of the Chinese in the Asian countries and regions provides for the exchange of Chinese culture and likewise that of learning the different ways of life of the cultures of the diverse nations in Asia, which positively China will continue to expand its cultural and educational programs that are vital to the enhancement of its image, influence, security, and prosperity in Asia. Since the revival of the Old Silk Road and the construction of the BRI, its significance has gradually increased in magnitude as a component of China’s strategic policy, symbolizing the “vision of connectivity”, with its huge investment, infrastructural development, etc., aligning the countries along the BRI route and allowing for cross cultural exchanges and sharing of knowledge between people in the Asian region. Analytically, the significant impact of China’s the BRI has resulted in different forms of cultural heritage awareness rising in the Asian region and with its increase use of cultural diplomacy through the use of soft power tools, this ultimately will improve and change the lives of many people in the Asian region. When we think closely, the world is becoming much more multipolar and is more connected, through the dissemination of information being diffused on a wider scale. The cultural contact with diverse countries is on the increase, thus changing cultural relations; therefore soft power is more critical than ever in China’s foreign policy. The building of friendship, understanding peoples enhances China’s security, and its principle of peaceful co-existence. Soft Power supports and deepens diplomatic ties, the sharing of knowledge and expertise, and the cooperation on shared common areas of interest. In all, China’s BRI in Asia and its soft power strategy will stimulate the economic prosperity in Asia, which will largely assist in bringing about the economic, social, infrastructural development of fragile countries in the Asian region. Finally, China’s soft power strategy offers a systematic and important way for it to respond to many challenges it faces relating to the security of its Asian neighbors, providing investment projects and programs, opportunity for employment, education, improving technical skills, the opportunity of learning new ideologies, Mandarin language, educational exchange programs, research cooperation, expertise skills, etc., which will strengthen its economic link and likewise its cultural link in Asia and the support of the Asian countries aspirations, leading to cultural interest and essentially developing a harmonious society. is an academic publisher of open access journals. It also publishes academic books and conference proceedings. SCIRP currently has more than 200 open access journals in the areas of science, technology and medicine. Cite this paper: Sterling, D. (2018) A New Era in Cultural Diplomacy: Promoting the Image of China’s “Belt and Road” Initiative in Asia. Open Journal of Social Sciences, 6, 102-116. doi: 10.4236/jss.2018.62010. Lai and Lu. (2012) China’s Soft Power and International Relations. Routledge, New York. Hong, Q. (2014) New Silk Road: “One Belt and One Road”. Published in Confucius Institute Magazine, Number 34. Vol. 5, Readers Club Confucius, Special Focus. Hu, Y.F. (2015) Cultural Charms of One Belt and One Road. Albert, E. (2017) China’s Big Bet on Soft Power Meaning. Purpose and Benefits. Winter, T. (2016) One Belt One Road Heritage Cultural Diplomacy and the Silk Road. Tribune Content Agency. The Diplomat. Nye, J.S. (2009) Get Smart: Combining Hard and Soft Power. Foreign Affairs, 160-163. Breslin, S. (2011) The Soft Notion of China’s “Soft Power”. Asia Programme Paper: ASP PP 2011/03. Arndt, T.R. (2005) The First Resort of Kings: American Cultural Diplomacy in the Twentieth Century. Potomac Books, Inc.
 Melissen, J. 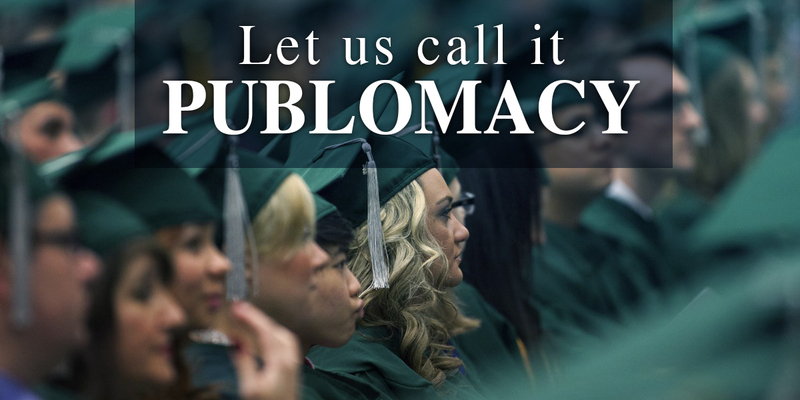 (2005) The New Public Diplomacy: Soft Power in International Relations. Palgrave Macmillan, Basingstoke. Zhang, R. (2015) Experts Discuss Promoting Culture on Belt and Road. Xi, J.P. (2015) Full Text of Chinese President Speech at the Boao Forum for Asia. Towards a Community of Common Destiny and a New Future for Asia. Keynote Speech by H.E. Xi Jinping. President of the People’s Republic of China. At the Boao Forum for Asia Annual Conference 2015. Global Opposition to U.S, Surveillance and Drones, But Limited Harm to America’s image. (2014) Chapter 2: China’s Image—Pew Global attitudes project. Research Center Survey. Xi, J.P. (2013) Important Speech of Xi Jinping at Peripherial Diplomacy Work Conference. 2013. China Council for International Cooperation on Environment and Development. Cai, P. (2017) Understanding China’s Belt and Road Initiative. Lowy Institute. Analysis. For International Policy. Wu, X.B. (2017) Culture an Essential Piece for Belt and Road Initiative. The China Post. Peng, B. (2014) “The Belt and the Road” and the Integration of Civilizations. Wong, C. (2017) One Belt, One Road, One Language? Liu, C.C. and Sukumaran, T. (2017) Belt and Road: How China Is Exporting Education and Influence to Malaysia and Other Asean Countries. ICEF Monitor (2014) Confucius Institutes Expanding Rapidly to Meet Demand for Chinese Language Skills. Xi, J.P. (2017) Full Text of President Xi’s Speech at the Opening of the “Belt and Road” Forum Full. President of the People’s Republic of China. At the Opening Ceremony of the Belt and Road Forum for International Cooperation. Share the post "A New Era in Cultural Diplomacy: Promoting the Image of China’s “Belt and Road” Initiative in Asia"